The video game franchise, Tomb Raider, is getting a reboot. Reboots seem to be a trend in entertainment these days. Let’s just hope it’s done right this time. Square Enix and Crystal Dynamics amped up the franchise with Tomb Raider Legend, Tomb Raider Anniversary, and Tomb Raider Underworld and now they are taking a shot at the origins of Lara Croft. Origin stories also seem to be a trend. I have played all of the Tomb Raider games and have been a big fan since the beginning. I’ve enjoyed what Square Enix and Crystal Dynamics have done and I am very excited to see what they are doing with the new game. 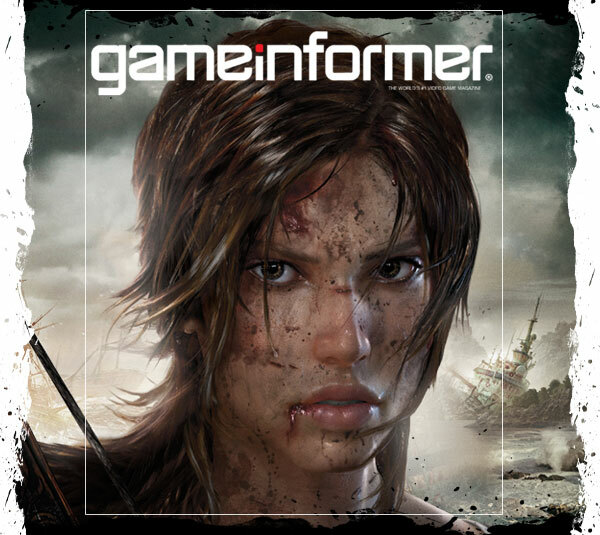 They have uses these phrases in promoting the game, Lara Croft: The Evolution and A Survivor is Born: The New Lara Croft. For the first time in Tomb Raider history, Lara croft works side by side with another playable character. Lara Croft is joined by Totec, a Mayan Warrior, who aids her on her tomb raiding journey. This is the first Tomb Raider game that will allow you to either play single player or play co-op mode with a friend. 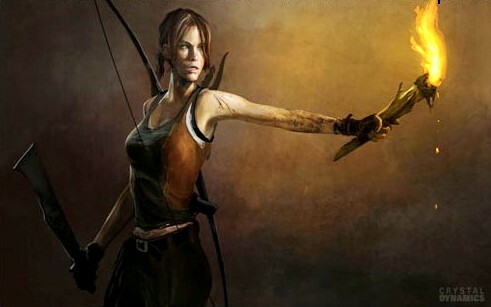 Lara wields her classic pistols as Totec totes a spear. The two will have to work together to solve puzzles and fight enemies. 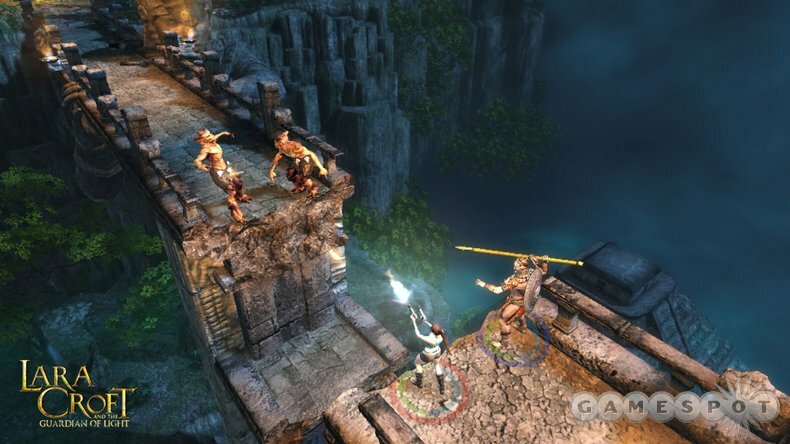 Lara can use her grapple to bridge a gap for Totec to walk across, or Totec can spear a wall for Lara to climb on. The game has an arcade-like setup, which adds to the co-op experience. The game will be released as a digital download for PC, X Box 360, and PS3, this summer. 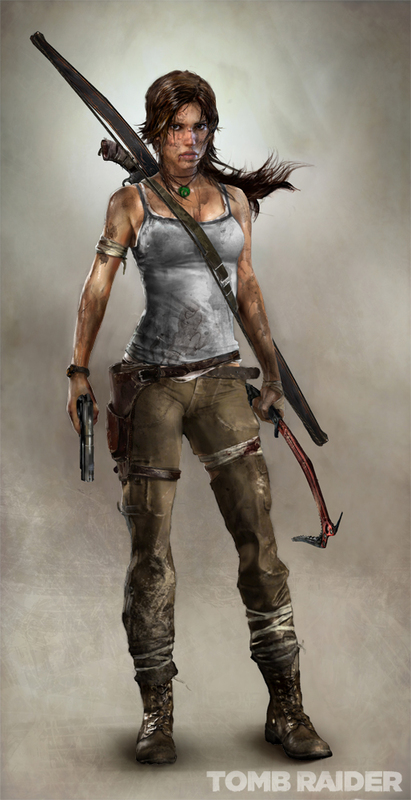 Tomb Raider fans have been speculating over possibly leaked concept art and story of a future Tomb Raider video game. Eidos has not confirmed that the concept art and story are true, but, if they are not, the creator of this speculation has done a very good job at getting fans riled up. When a sudden storm destroys her research vessel, a young and inexperienced Lara Croft finds herself stranded on a mysterious and remote island hidden off the shores of Japan. Despite several signs of various inhabitants the island is oddly deserted, and an uneasy feeling settles in as strange sounds emerge from the shadows. With only her determination, inner strength, and resourcefulness to help her, Lara must overcome the challenges of a harsh and unforgiving journey that will take her across a vast island wilderness and deep into the claustrophobic and menacing underground tombs from the island’s past. As she struggles to prevail through brutal combat encounters and treacherous exploration, Lara will be pushed to her limits and forced to adapt to her situation in order to survive and escape from the lethal predators that stalk her every move. • Hunt or Be Hunted: Evade, outsmart, trick and kill the mysterious enemies that hunt you as prey. • Survival Action: Brutally attack and defend yourself as you fight to survive through visceral one-on-one melee combat. • Strategic Weapons: Gain an advantage in combat by finding an array of different melee and ranged weapons including a variety of guns, and the hunter’s ultimate weapon, the bow. • Creative Survival: React and adapt to the island by using only that which you can salvage from the environment like climbing axes, rope, and machetes that can be used to unlock new traversal and combat game play options. • Free Movement: Scramble up a vertical cliff wall, sprint and leap across a huge chasm, steer mid-air to land a misdirected jump: There is no one right way to traverse, survive, and explore the harsh environment of the island. • One Cohesive World: The diverse multi-region island is an open playground alive with creatures, weather, and natural events. • Origin Story: The new Tomb Raider concept reboots the franchise by exploring Lara Croft’s transformation into a hardened adventurer as you unravel the story behind the island’s mysterious past.